Samsung’s Galaxy Fold, a Foldable phone that has two displays and 6 cameras which costs $2,000, This would start a trend for foldable phones. Many foldable phones are yet to be launched in the MWC 2019. 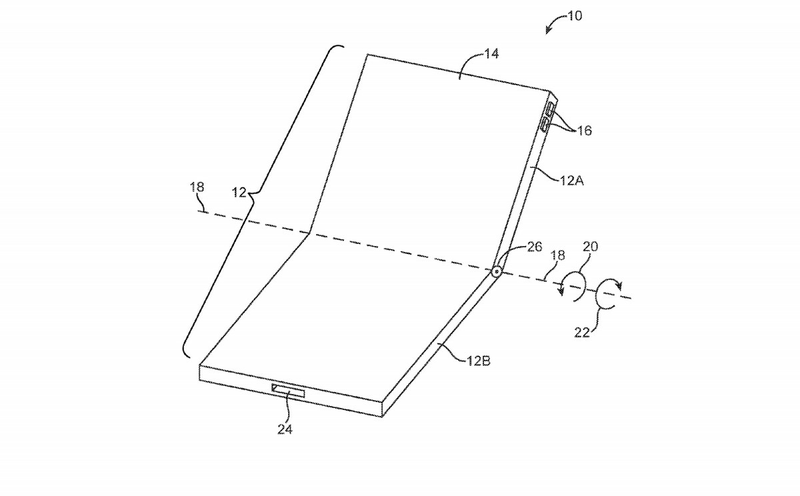 Apple has figured out its way for a foldable phone in a patent application published last week. This design was submitted in October and indicate Apple has also been considering a foldable phone for quite some time. Apple’s foldable patent describes a display with hinges that can fold in half or in thirds. The display could be used in anything from phones and tablets to laptops, wearables, and even mobile accessories. “It would be desirable to be able to use flexible display technology to provide improved electronic devices,” the company writes in the application. The patent is only an idea and hasn’t been approved yet. But it’s only more evidence that Apple may be working on a foldable iPhone. If all this is true foldable iPhone could be released in 2020, and that it could likely double up as a tablet running an improved version of iOS which is said to receive cross-platform functionality between iPhone, iPad, and Macs. if Apple decides to launch its own folding phone, Samsung may not be willing to make the displays, for a while at least a while and right now there’s no other supplier able to do so. If Samsung’s new foldable form factor does prove to be a hit, Goldman believes it may postpone Apple from accessing the necessary display technology for use in its iPhones.